Now it's quicker and easier for users to make purchases! We've added a new payment method. 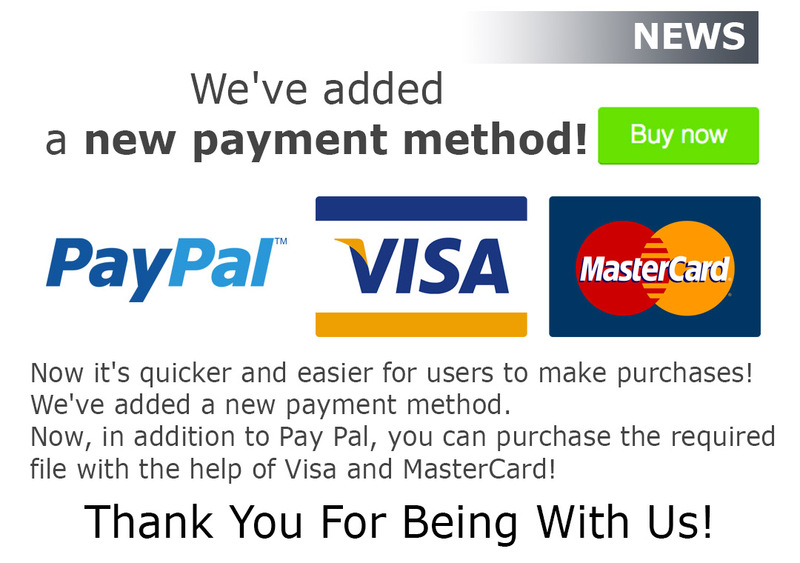 Now, in addition to Pay Pal, you can purchase the required file with the help of Visa and MasterCard! * Please note that the payment system, with which we cooperate, in some countries may charge a tax on the transaction.